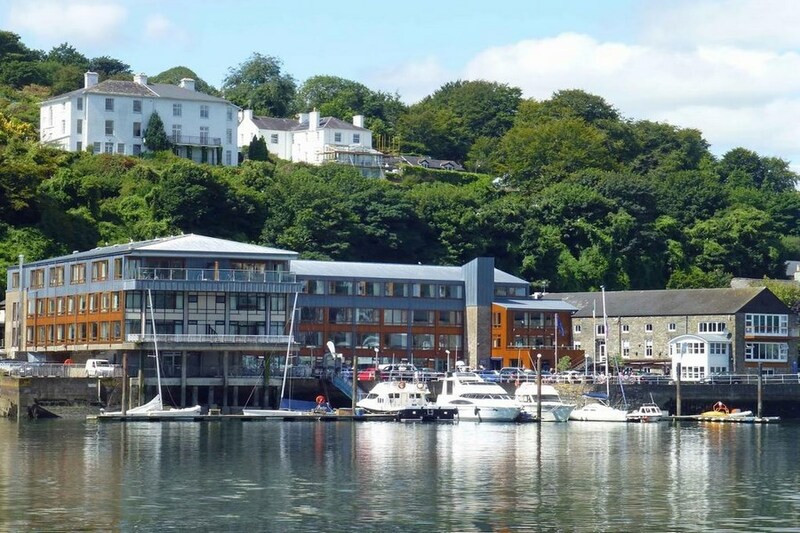 The Trident Hotel enjoys a spectacular location on the shores of Kinsale Harbour, offering guests unrivalled views and award-winning cuisine. Every one of the 75 tastefully decorated guestrooms has a view of the water. The Hotel is on Worlds End in the town of Kinsale. 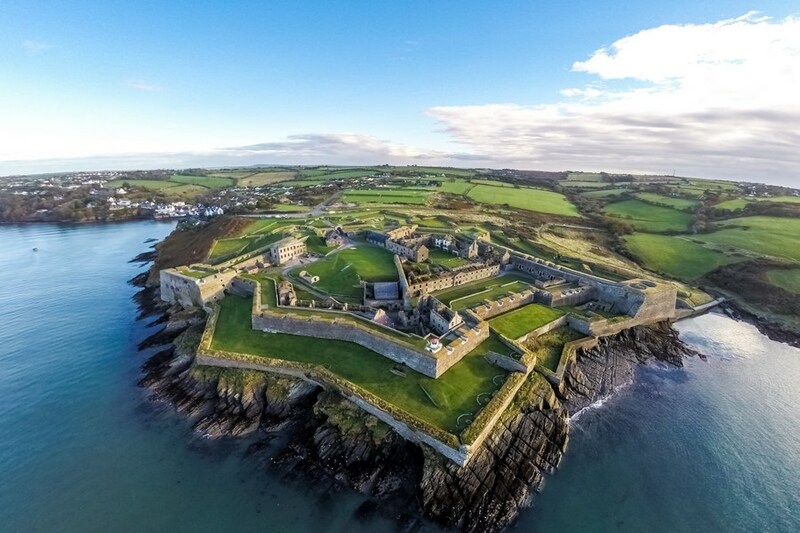 Kinsale in County Cork is one of the most picturesque, popular and fashionable resorts of the south-west coast of Ireland. we have stayed there on numerous occasions and can highly recommend it for.The location is ideal and the staff are very friendly and helpful . The hotel food is delicious and has a good variety . 5 stars We were greeted by friendly staff and were surprised by an upgrade to an executive suite. The room was very clean and warm. Renovations were being carried out in the hotel which we were completely undisturbed by. We ate in the bar and had a delicious meal and breakfast was excellent also. We'll certainly be back. Nice hotel , staff friendly ,Karen in the restaurant was the one who made our stay great she was just so nice and helpful. I found our room to be dated and not 4 star what so ever and hated having no net on the window since it faced the road. My 3 stars are for Karen she was great. Fantastic Hotel. Staff couldn't have been more helpful. One of our rooms had a wonderful view of the harbour. Wonderful value for money. Couldn't recommend highly enough. lovely hotel great room breakfast was great. A very nice hotel. The breakfast was the best thing about it. Plenty of variety and very tasty. Our room was very comfortable and spacious. The bar was a bit cold and lacking in atmosphere, as was the foyer. All in all, a good hotel. Would definitely stay here again. Very nice hotel, room are lovely and spacious. The view is amazing, we will be back again. The hotel is in a beautiful location,the views from our room were fantastic.The staff were very friendly and efficient.Our room was spacious and the bed was very comfortable.We thoroughly enjoyed our stay and would recommend it highly. Well what can I say breathtaking had a fantastic time..ended up staying an extra night! We didn't want to leave we were just too cosy. We got a suite with a sea view which was so pictoresque. The staff are so friendly and the food was really delicious,the menu catered for all our dietary needs. Hope to be back soon..
We were in this hotel last weekend. It is a great hotel, centrally located with plenty of parking. We were greeted by very friendly efficient reception staff. 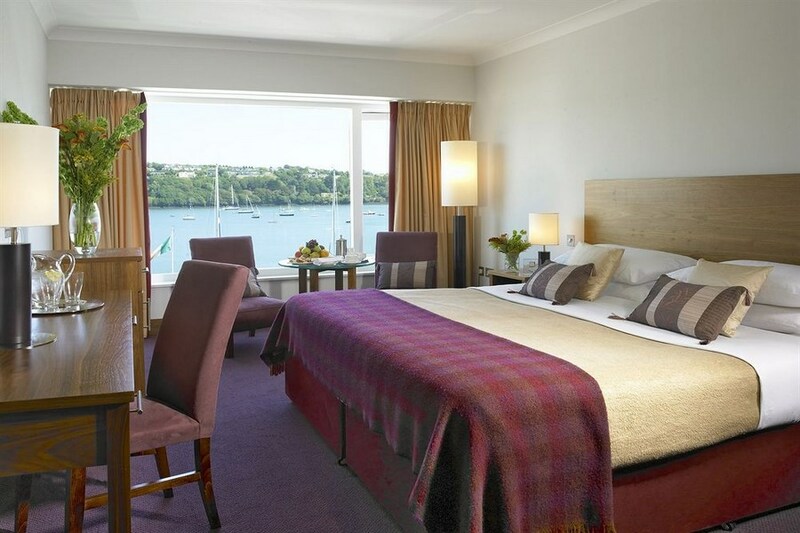 Our room on the second floor was both spacious and spotlessly clean with beautiful views across the harbour towards James Fort. It was well equipped. We had bar food in the middle of the day in the Wharf tavern. It was very tasty and well priced as was the drink. We ate in the Pier One restaurant for both dinner and breakfast. The food was fabulous and plentiful with lots of choice. The restaurant staff were very friendly, helpful and patient. Again the drink prices in the restaurant were very good value. Overall a great hotel with staff who are very committed to their guests enjoying themselves. I will definitely stay again. We spent a lovely night in the Trident Hotel Saturday night - the room was lovely and views were spectacular - the only down was the evening meal - this was very disappointing - I had to send it back - but - breakfast made up for my dissapointment - it was Yum !! I would recommend it - I enjoyed my stay and I will be back - but - next time I would stay B&B. Really enjoyed a three night stay here. 1st room too small but changed to a larger one with fantastic harbour view next night. Disappointed that included meal was in bar, not restaurant and my daughter's pasta was very stodgy, my fish was delicious but veg only mediocre. Breakfast food and staff excellent, as were reception and room staff. I thought our stay in the Trident was excellent, food excellent, room comfortable, staff lovely , thank you very much. Really enjoyed our stay. Staff were friendly, rooms were very clean, and hotel food was good. We got a really nice meal included with this deal. Worth staying here for a short break. Given wrong sized room initially, then corrected. Breakfast good. Extraction fan in bathroom not working and fittings/decor a bit tired. Staff friendly and accommodating. We stayed one night at the Trident. The rooms were spacious and comfortable - however it was very warm although there was no heating on and we had the window open all night. Breakfast was varied and catered for all in a bright dining room with views out over the water. All staff were friendly and helpful in assisting us. Stayed here for one night as was attending wedding in nearby hotel. Staff were very welcoming and at reception. Room was good with nice bathroom, Great views. Breakfast was good and staff again very friendly. Didn't use bar as was attending wedding. Nice hotel in great location will return again for a longer break next time. Had a lovely time at the hotel, lovely room and staff most helpful.